Planet Fitness will open the week of June 17th in the Gateway Shopping Center. Photo courtesy of Planet Fitness. A sponsored article from Planet Fitness. New location offers non-intimidating Judgement Free Zone®, extremely low prices, free fitness training included in all monthly memberships, and more. Planet Fitness Growth Partners, LLC, a franchisee of one of the largest and fastest-growing franchisors and operators of fitness centers in the U.S. and home of the Judgement Free Zone®, announced its 8th location in Washington and 57nd overall club in Mill Creek on June 6th, 2018. The club will open its doors the week of June 17th and is located at 13314 Bothell Everett Hwy Suite 102, in the Gateway Shopping Center. New members can join the Mill Creek location for just $1 down and then $10 a month with no commitment now through July 3rd. The new Planet Fitness Mill Creek is 25,000 sq. feet and will offer state of the art cardio machines and strength equipment, 30-Minute Express Circuit, fully equipped locker rooms with day lockers and showers, numerous flat screen televisions, HydroMassage beds*, massage chairs*, tanning, a Total Body Enhancement booth*, and more. The club will be open and staffed 24 hours, seven days a week. "We’re thrilled to bring another Judgement Free fitness experience to Mill Creek and we encourage everyone to come check out the new club, meet our friendly staff, get a tour and see what the Judgement Free Zone is all about,” said Planet Fitness Franchisee Victor Brick. Each club also features the brand’s iconic “Lunk Alarm,” which is a purple and yellow siren on the wall used to gently remind people that grunting, dropping weights or judging others is not permitted. Membership includes a variety of other benefits, including free small group fitness instruction by a certified trainer through the pe @ pf ® program. In addition, as a member appreciation gesture, Planet Fitness provides free pizza on the first Monday of every month, and free bagels on the second Tuesday of every month while supplies last, as a reminder that it’s okay to treat yourself. 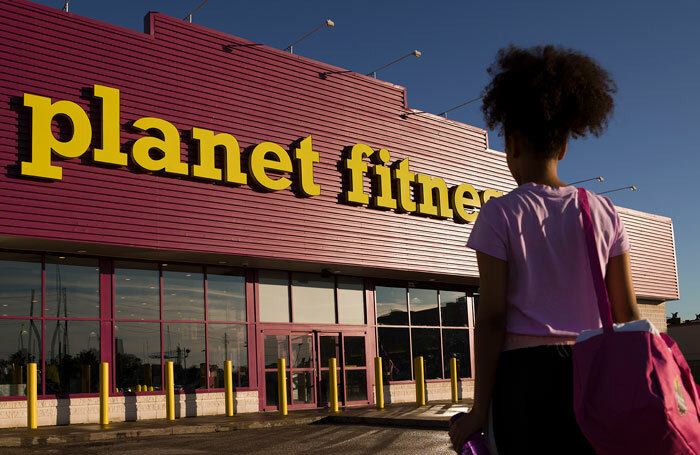 Additionally, Planet Fitness is proud to partner with Boys & Girls Clubs of America as part of the brand’s national philanthropic initiative, The Judgement Free Generation®, which aims to prevent bullying and promote kindness. Since 2016, Planet Fitness and its franchisees have donated more than $3 million in support of the cause. As part of the program, the Company has funded first-of-its-kind anti-bullying/pro-kindness trainings for Boys & Girls Club staff and youth, recognized standout Boys & Girls Club teen leaders with scholarships for embodying the values of kindness and acceptance, engaged in ongoing volunteer efforts, and built welcoming gym spaces at Boys & Girls Clubs. Planet Fitness Growth Partners, LLC, is a franchise division of Planet Fitness. Planet Fitness Growth Partners, LLC owns and operates 57 Planet Fitness health clubs with over 475,000 members in the states of Maryland, District of Columbia, Tennessee, Florida and Washington State. In 2013 Planet Fitness Growth Partners, LLC was named The Inaugural Franchise of the Year by Planet Fitness Corporate. In 2014 the group was named Planet Fitness Developer of the Year for opening 11 clubs in 12 months as well as receiving the award for Highest BER (Brand Excellence Review) awarded by Planet Fitness Corporate. In 2015 the group was again named Planet Fitness Developer of the Year awarded by Planet Fitness Corporate. The following year in 2016 the group was given the Judgement Free Generation award for their exceptional work with the local boys and girls clubs in Tennessee by Planet Fitness Corporate. Founded in 1992 in Dover, N.H., Planet Fitness is one of the largest and fastest-growing franchisors and operators of fitness centers in the United States by number of members and locations. As of March 31, 2017, Planet Fitness had approximately 10 million members and more than 1,500 stores in 48 states, the District of Columbia, Puerto Rico, Canada and the Dominican Republic. The Company's mission is to enhance people's lives by providing a high-quality fitness experience in a welcoming, non-intimidating environment, which we call the Judgement Free Zone®. More than 95% of Planet Fitness stores are owned and operated by independent businessmen and women.